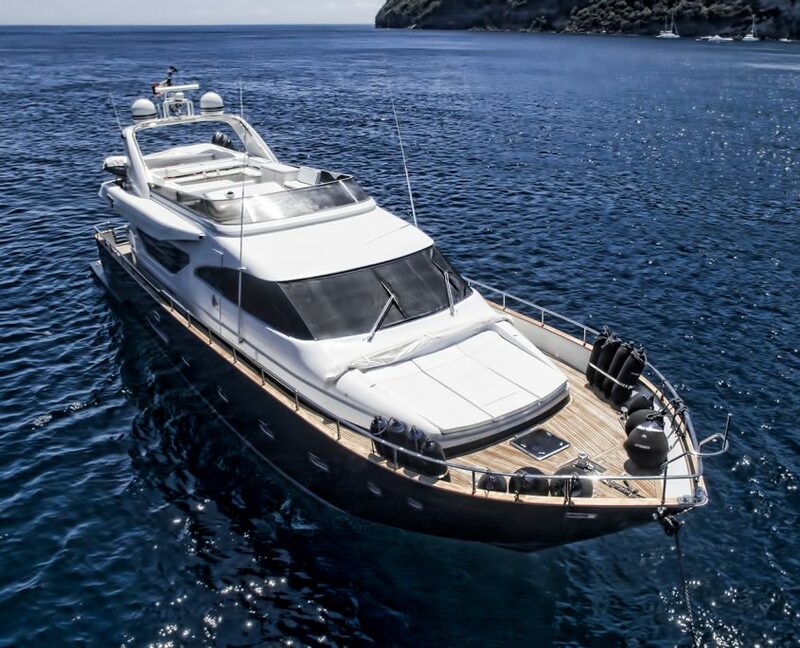 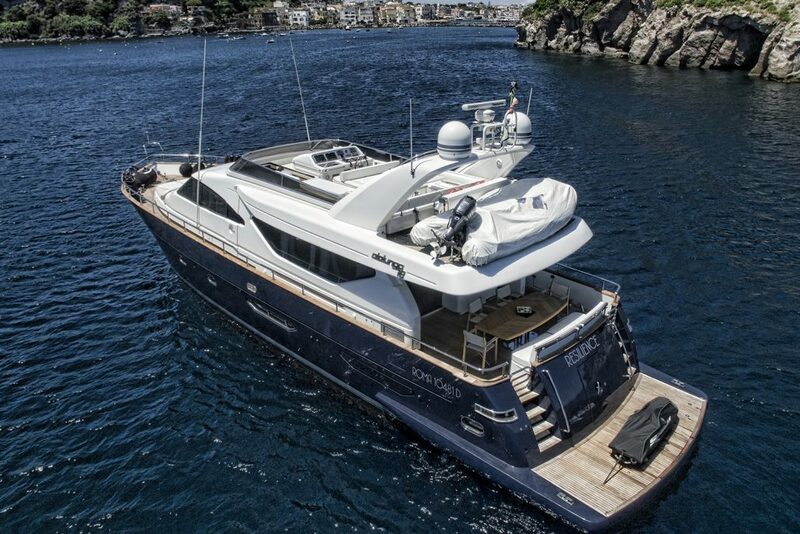 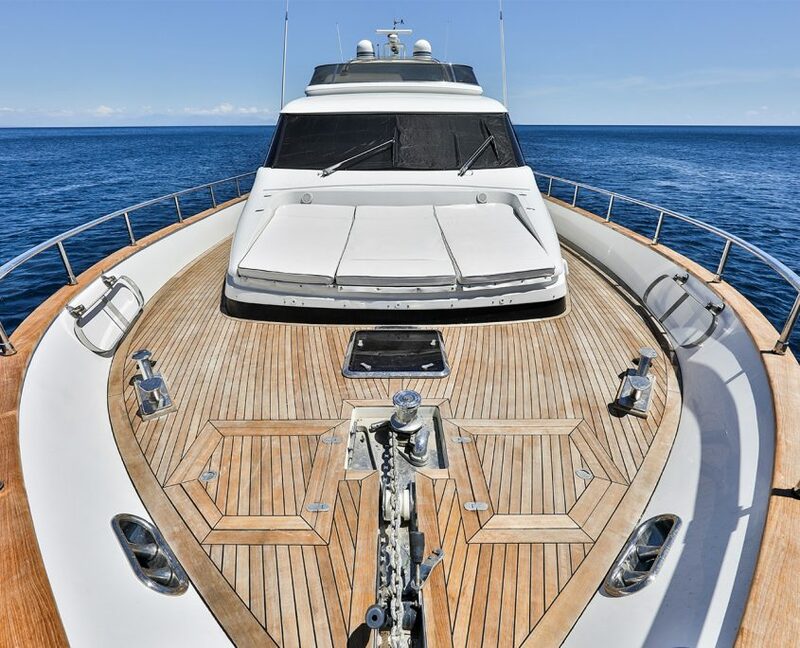 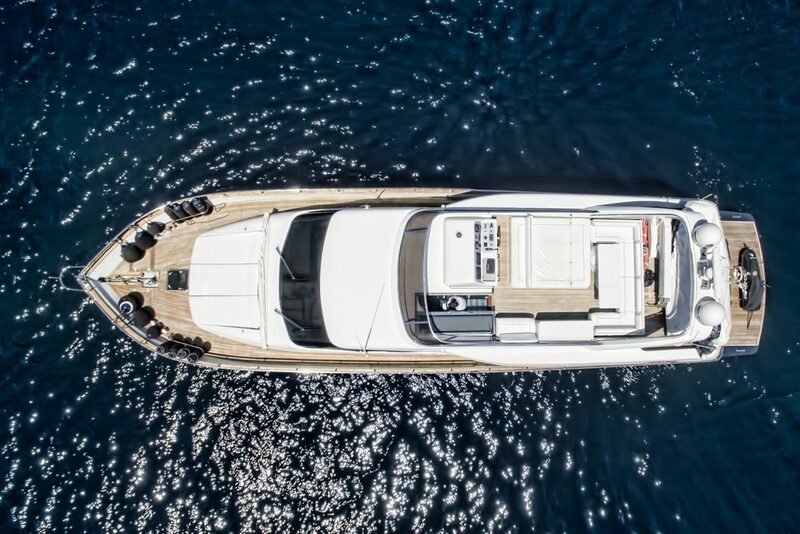 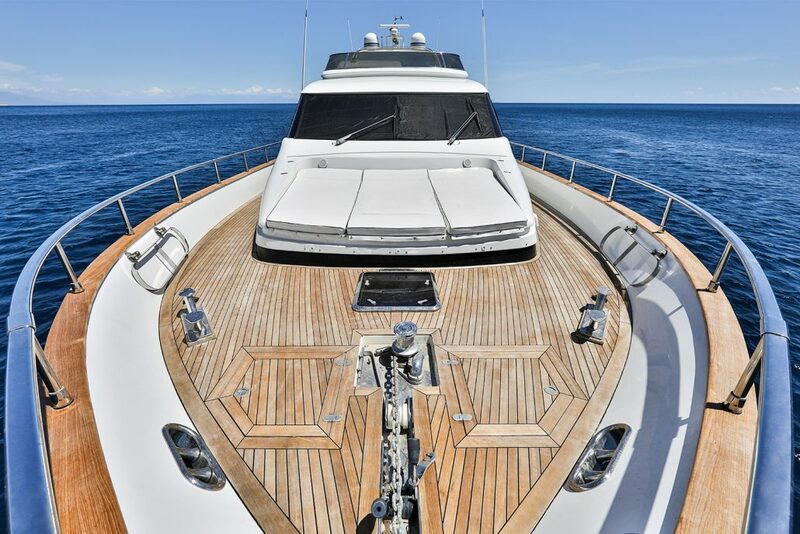 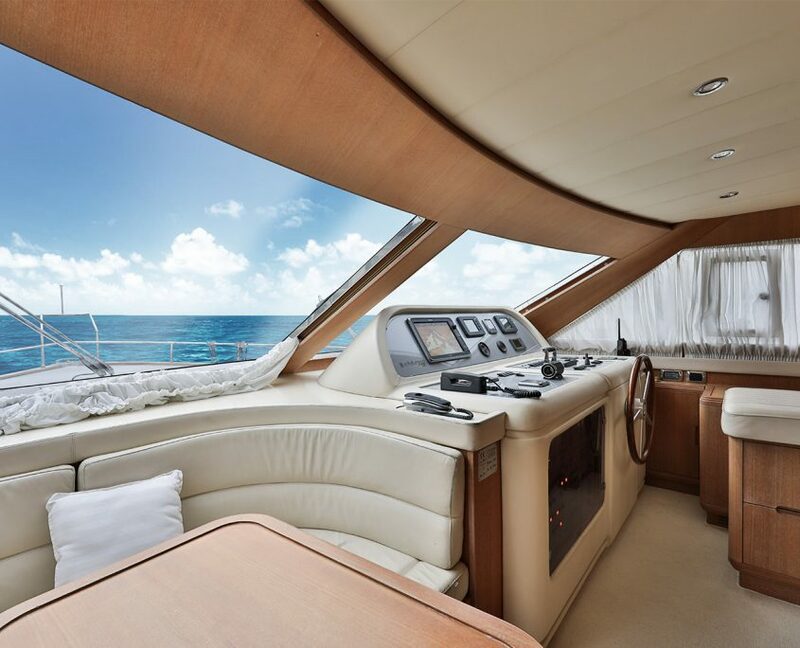 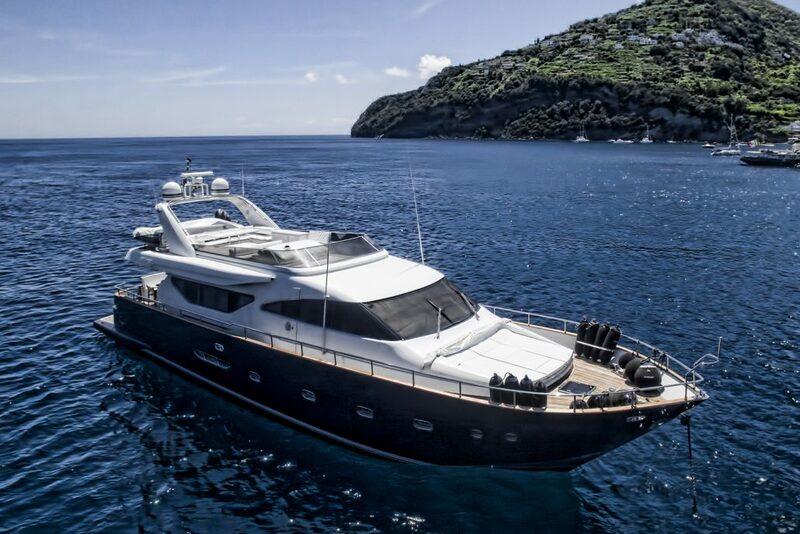 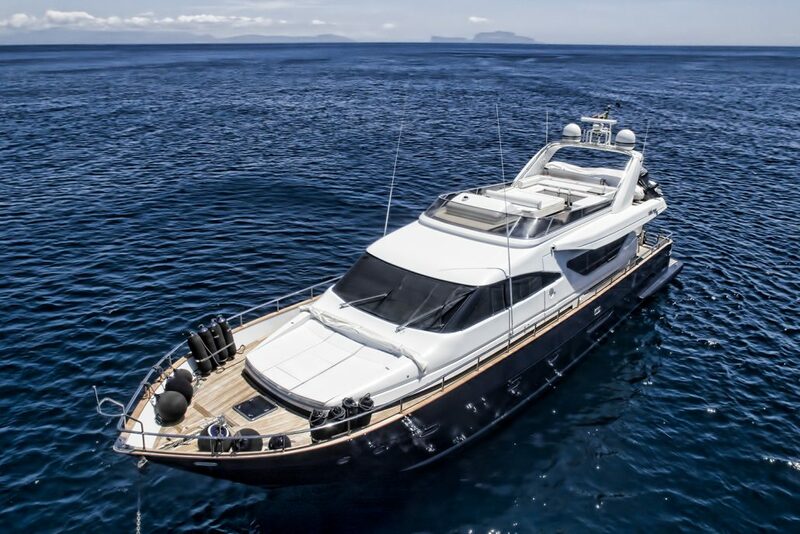 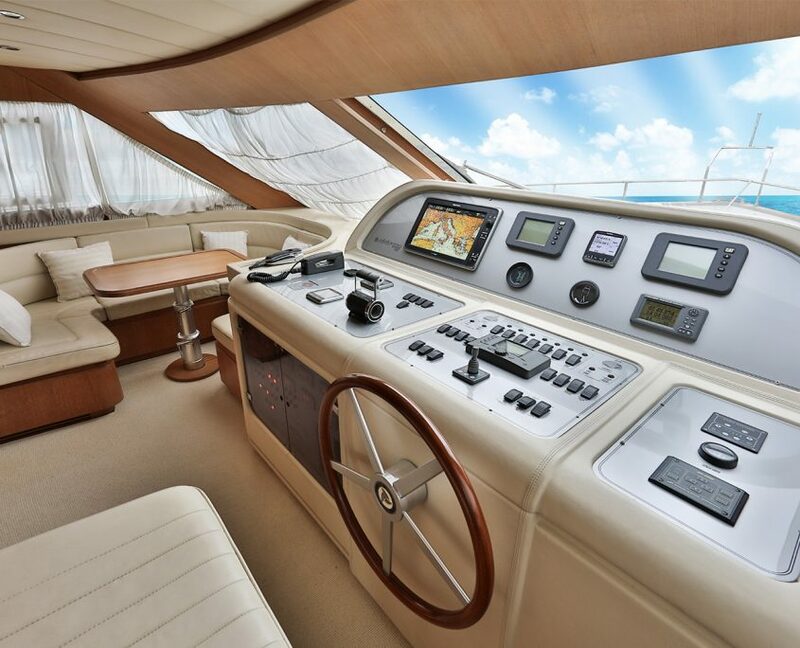 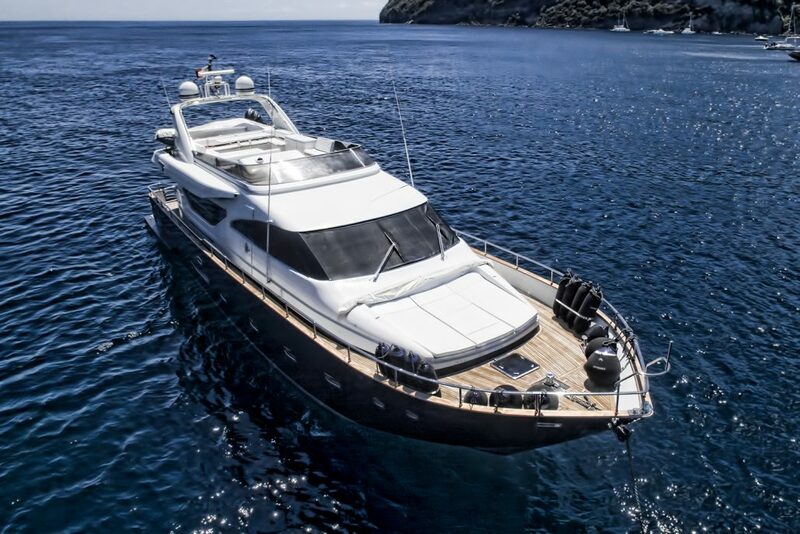 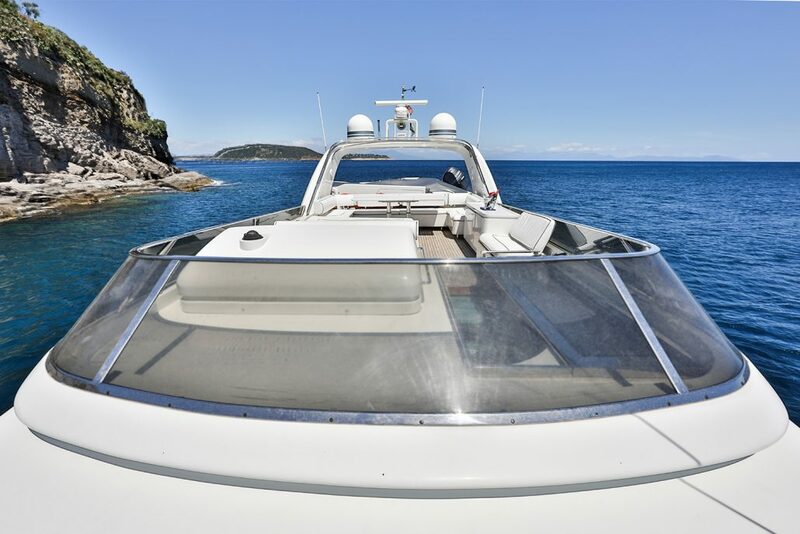 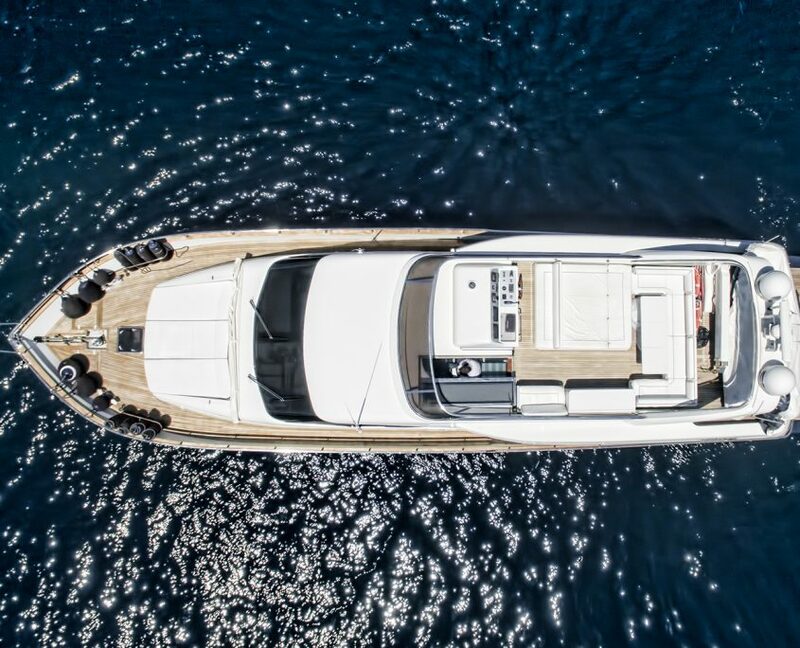 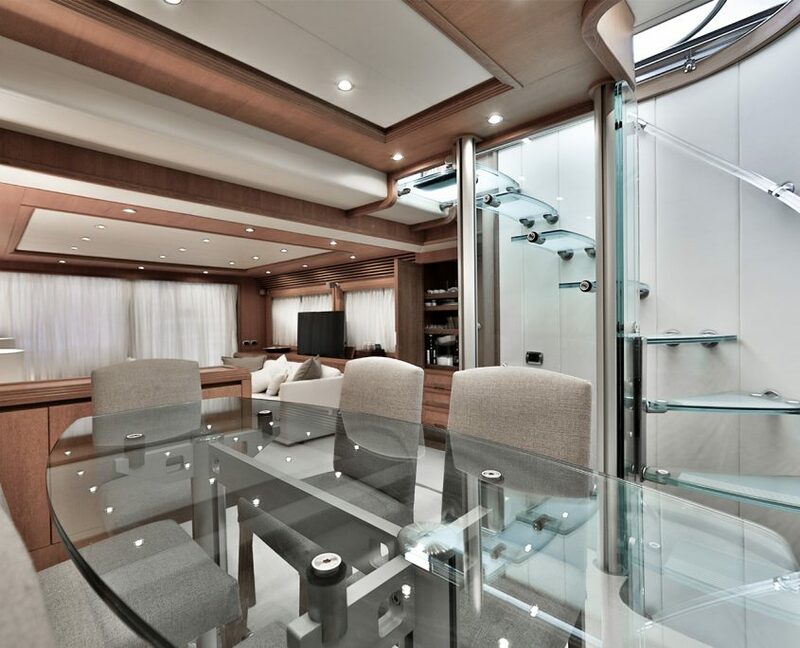 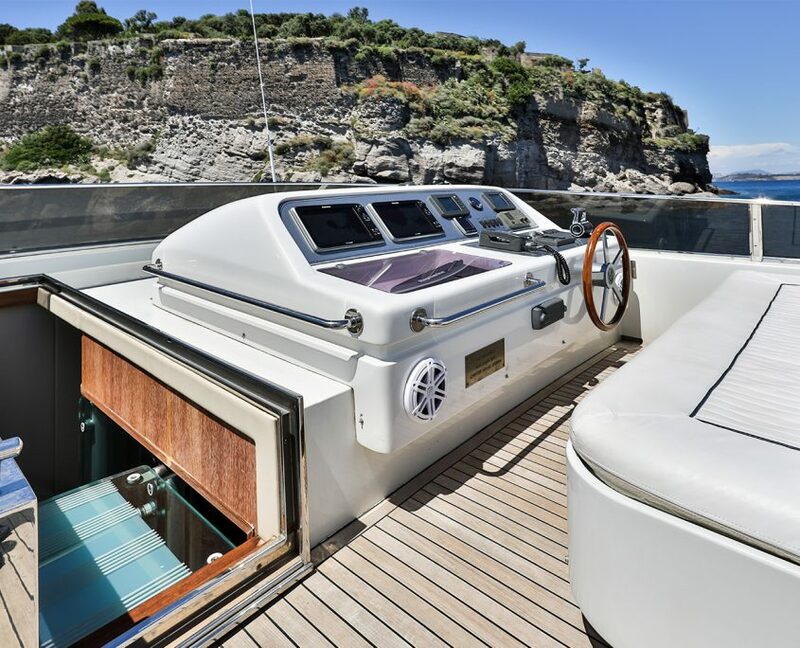 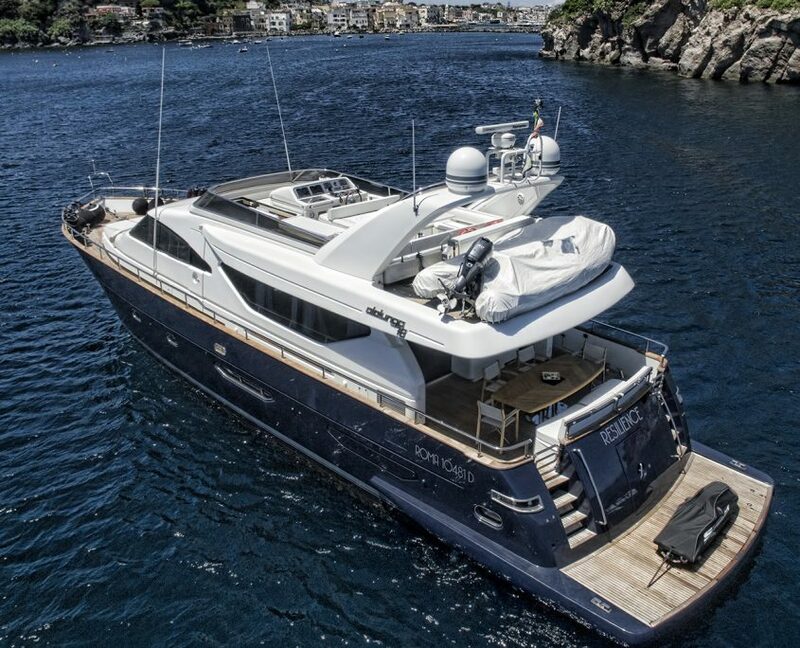 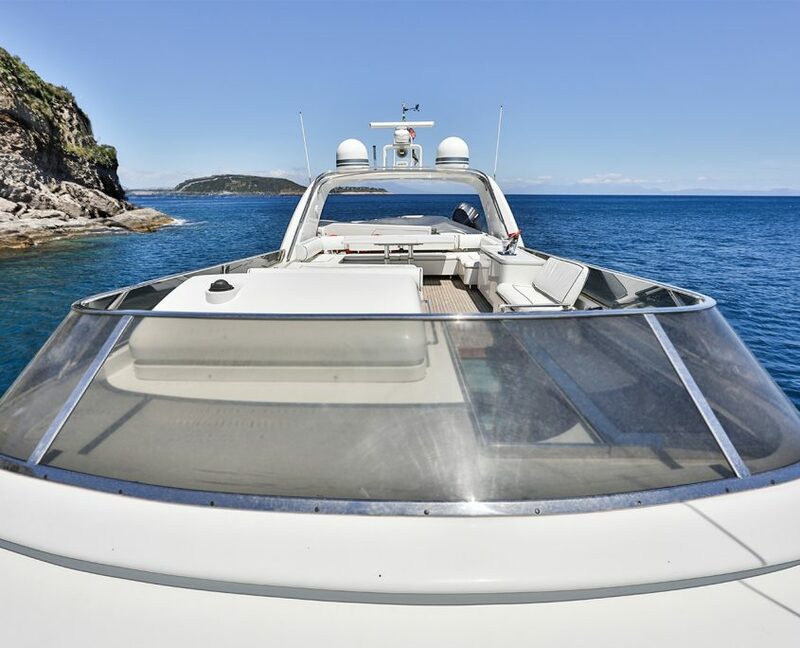 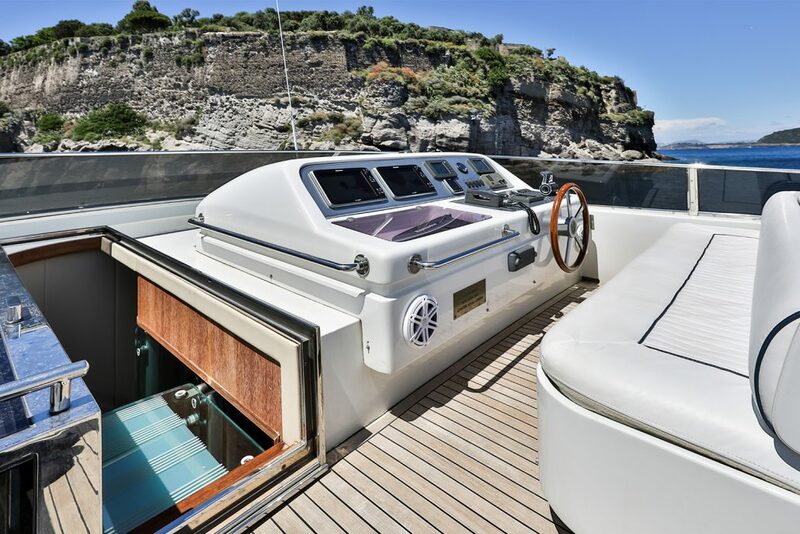 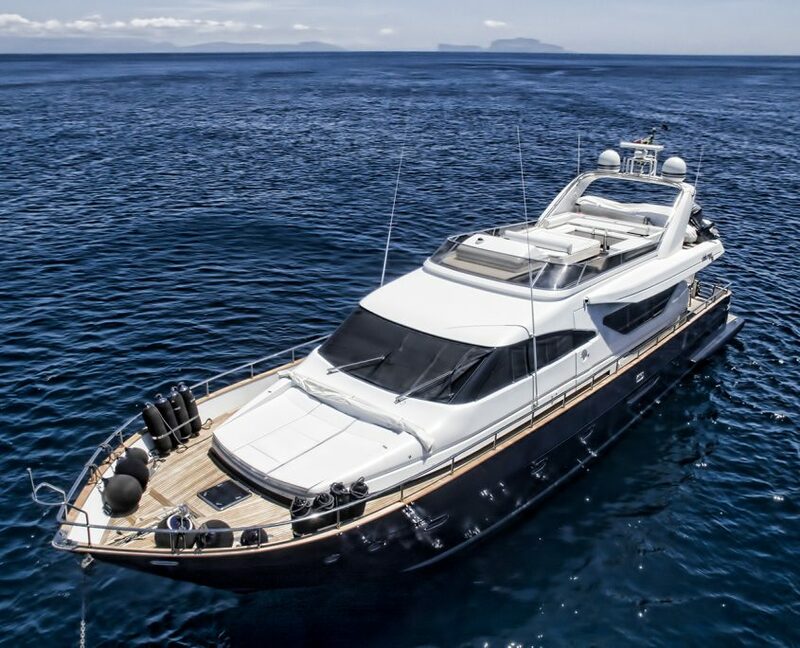 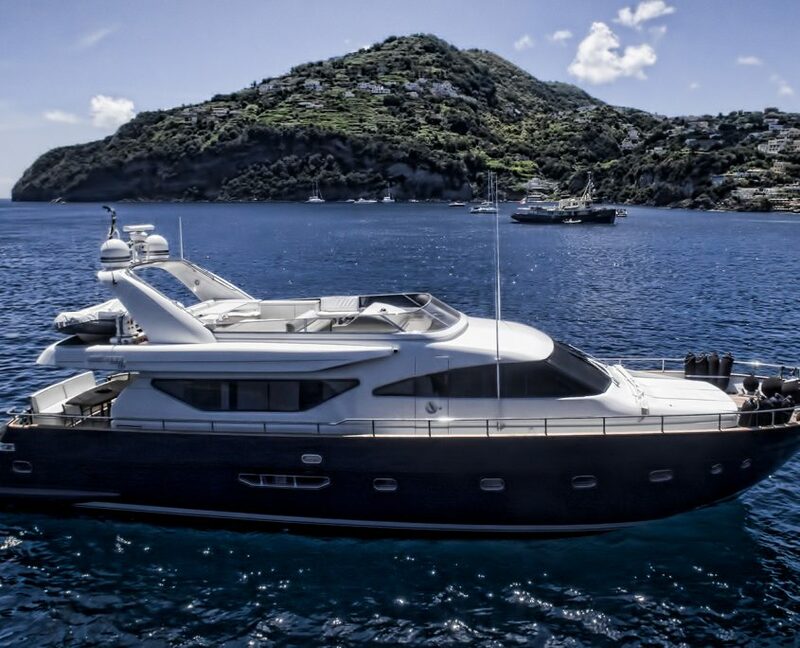 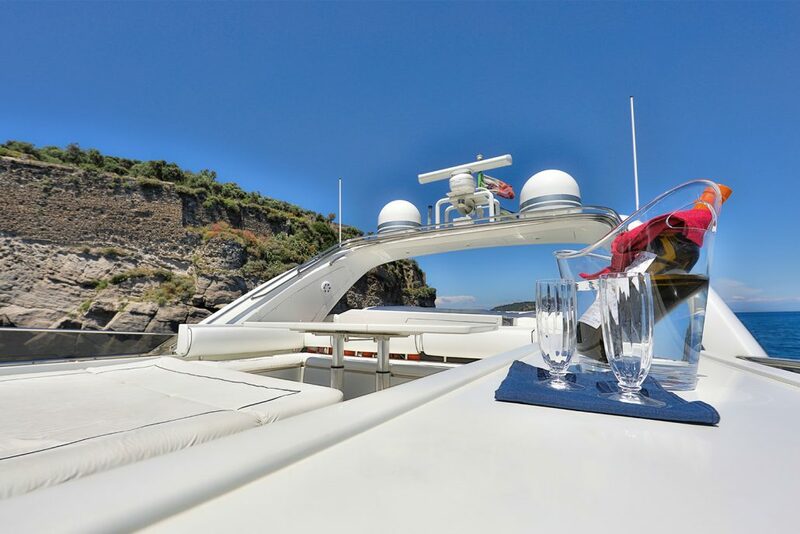 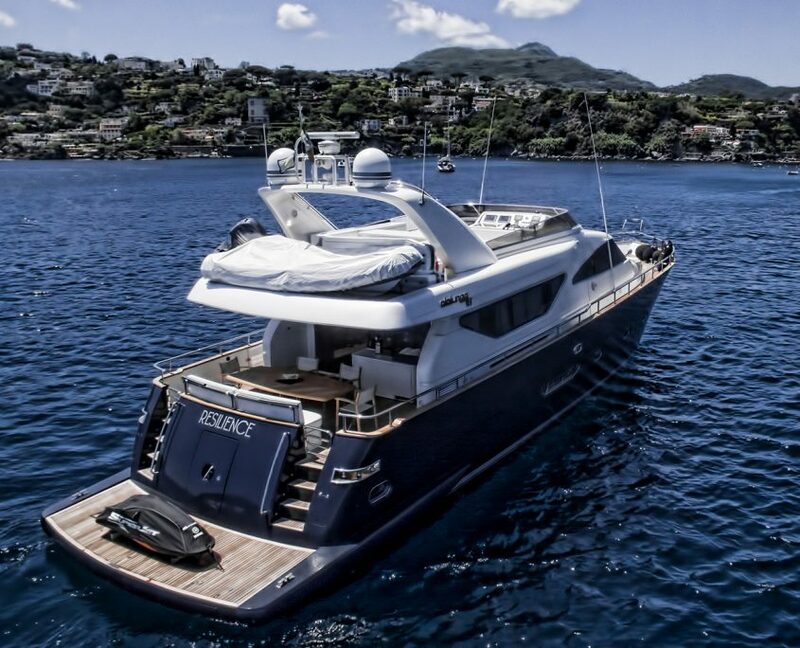 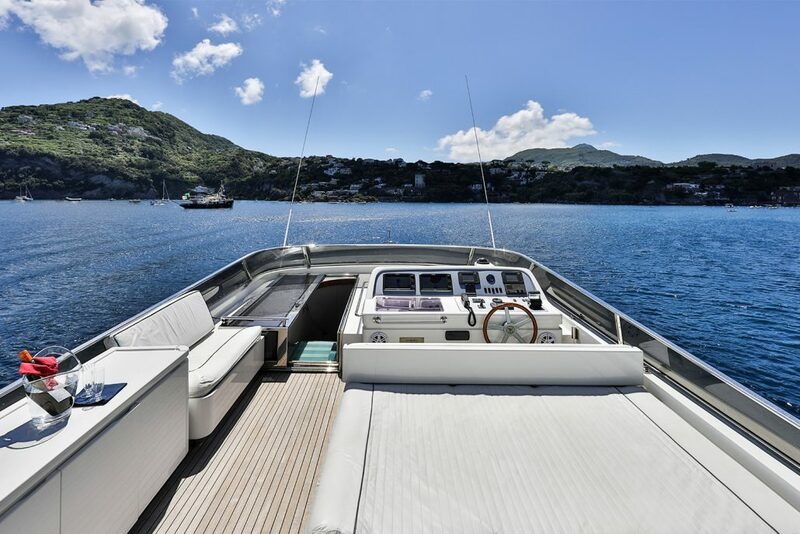 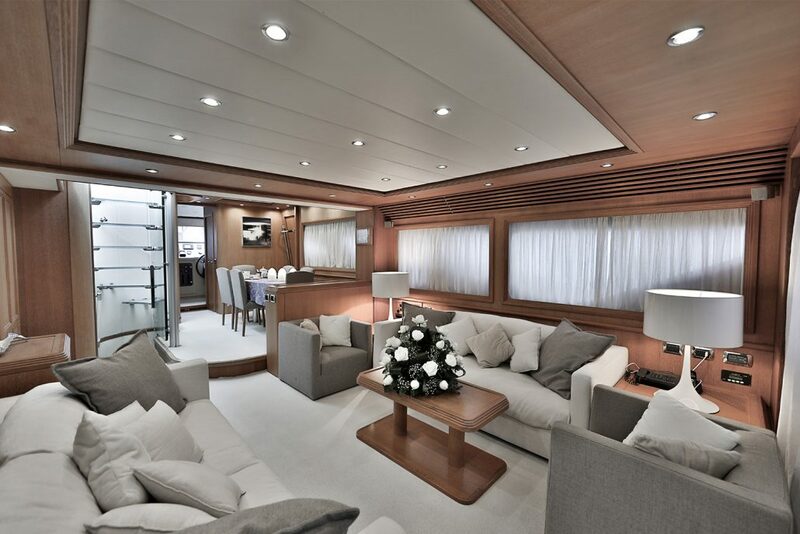 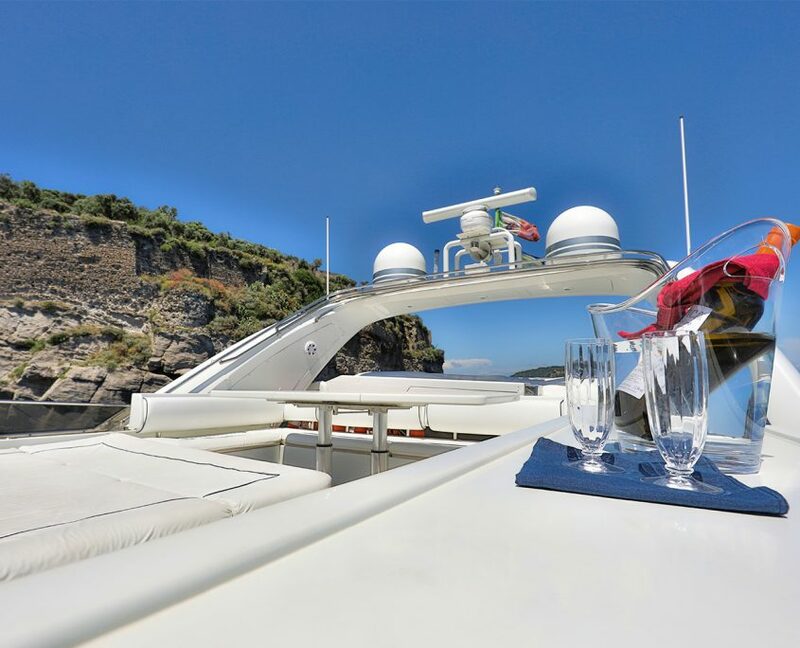 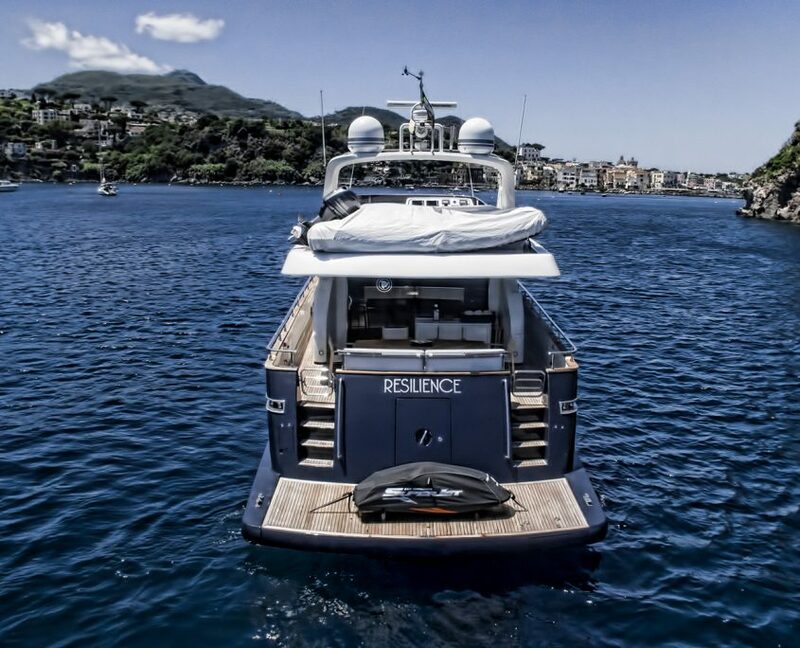 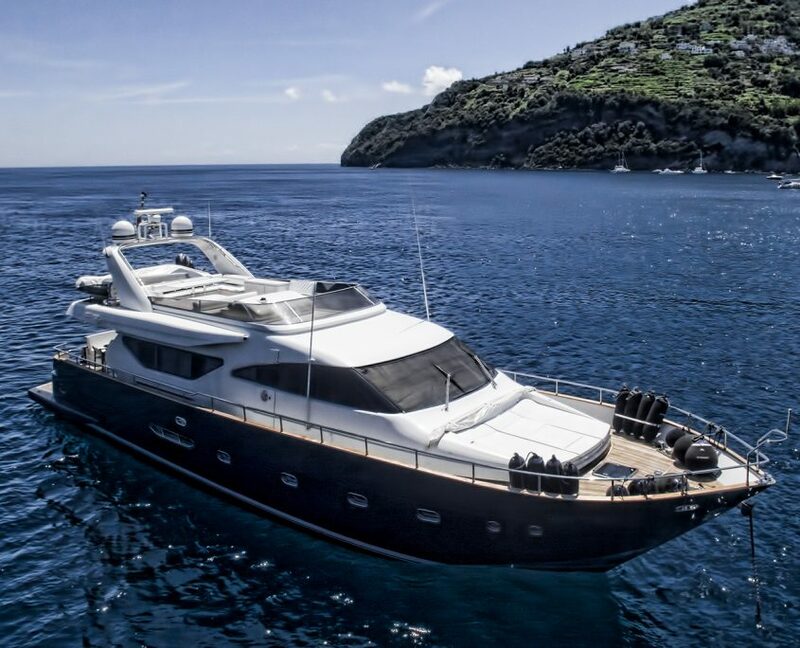 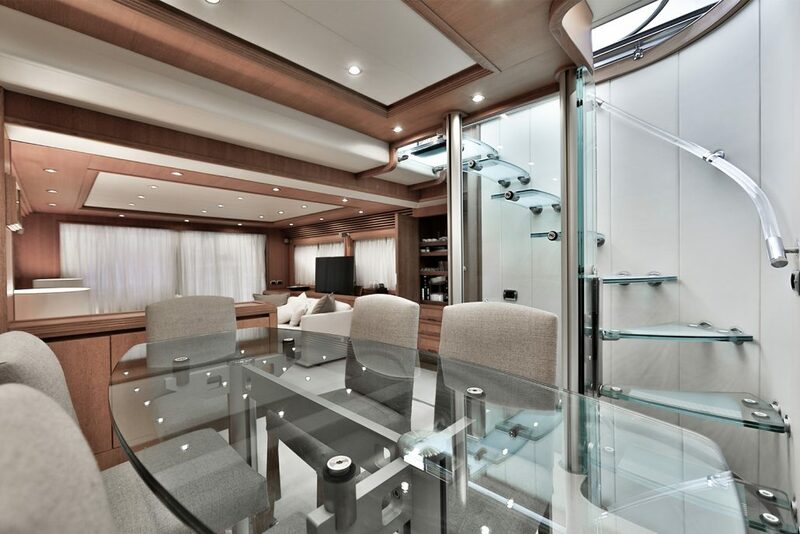 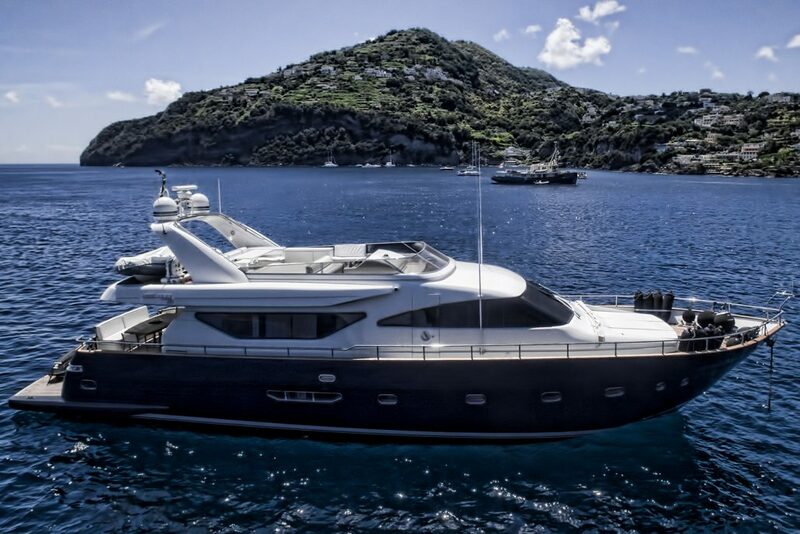 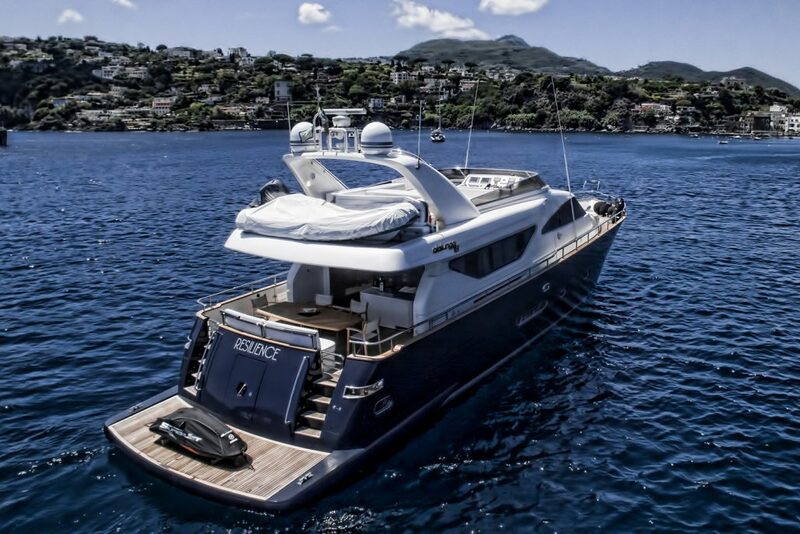 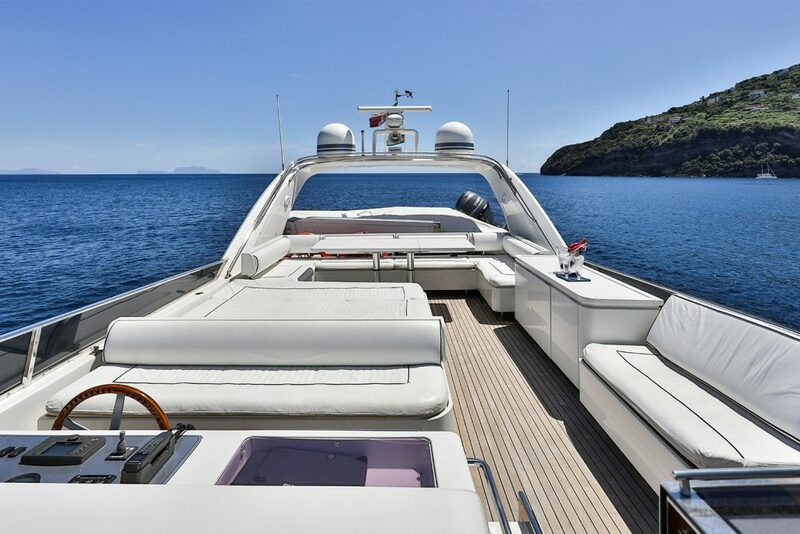 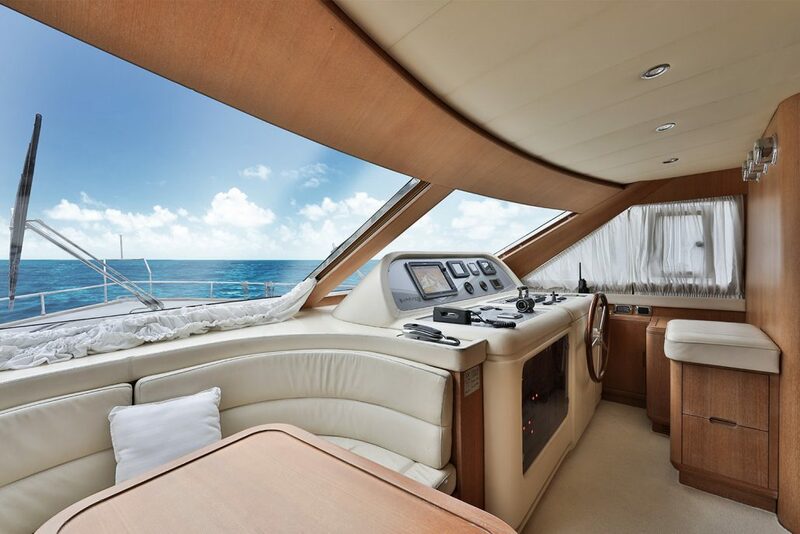 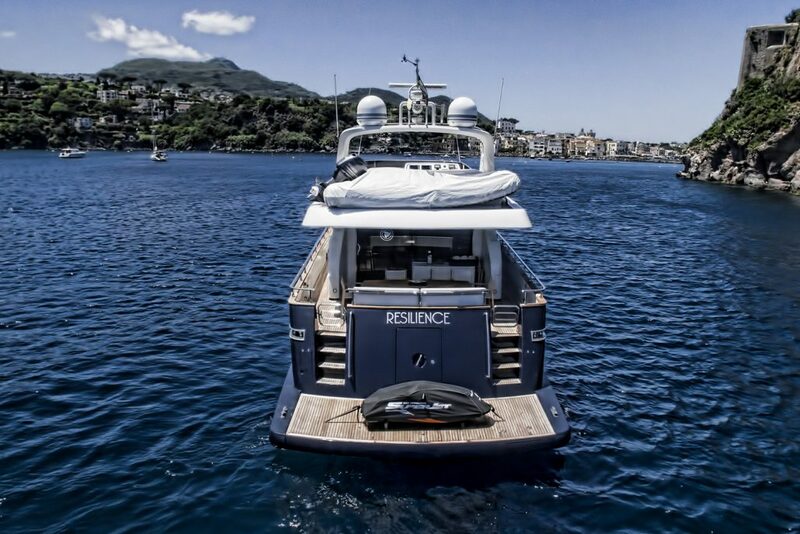 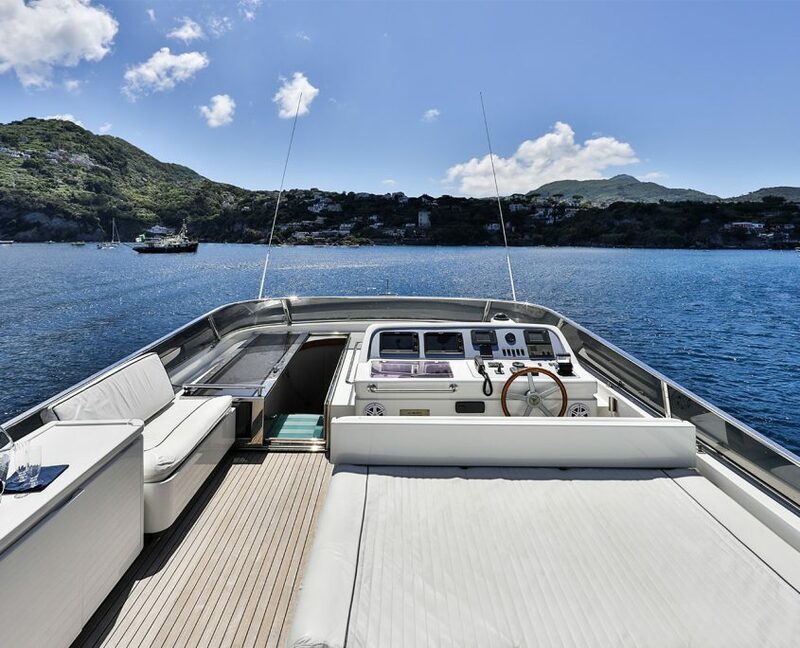 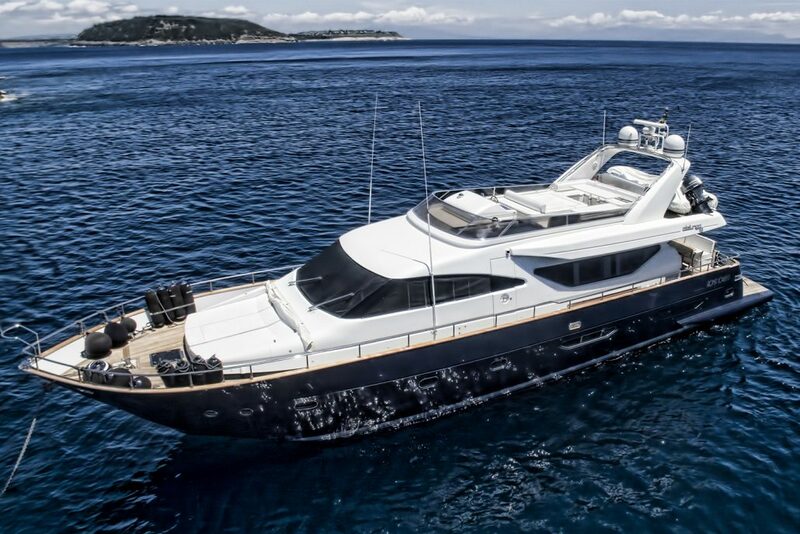 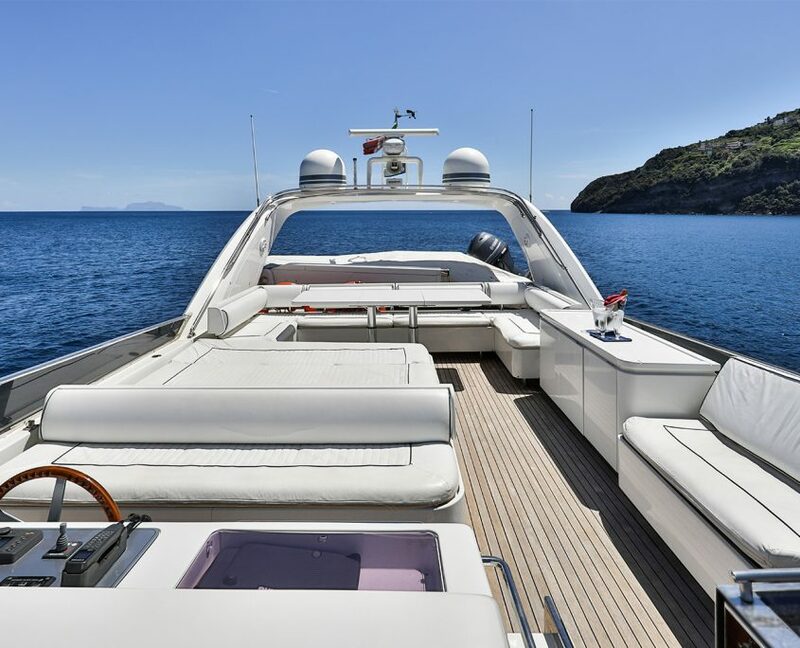 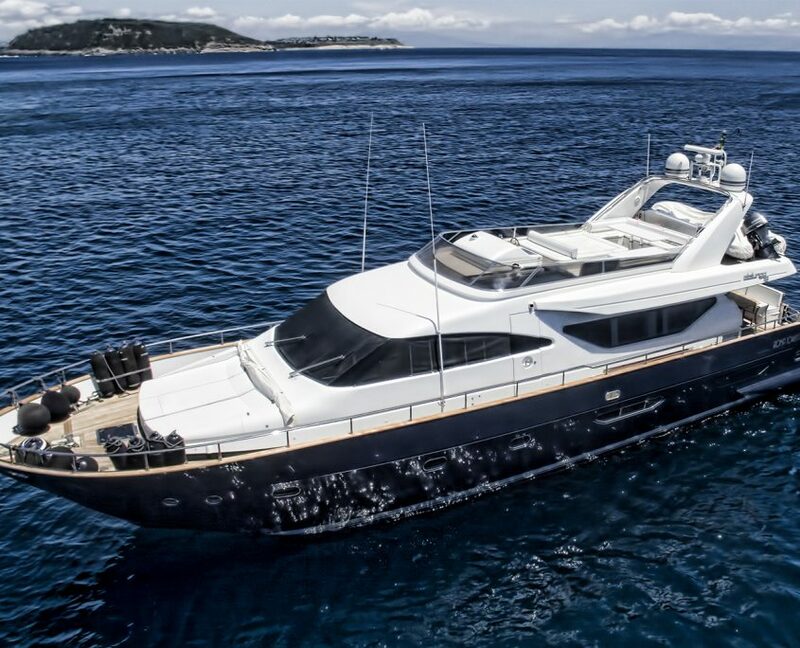 M/Y Resilience is an elegant and refined Alalunga 78 launched in 2006 and fully refitted in 2014. 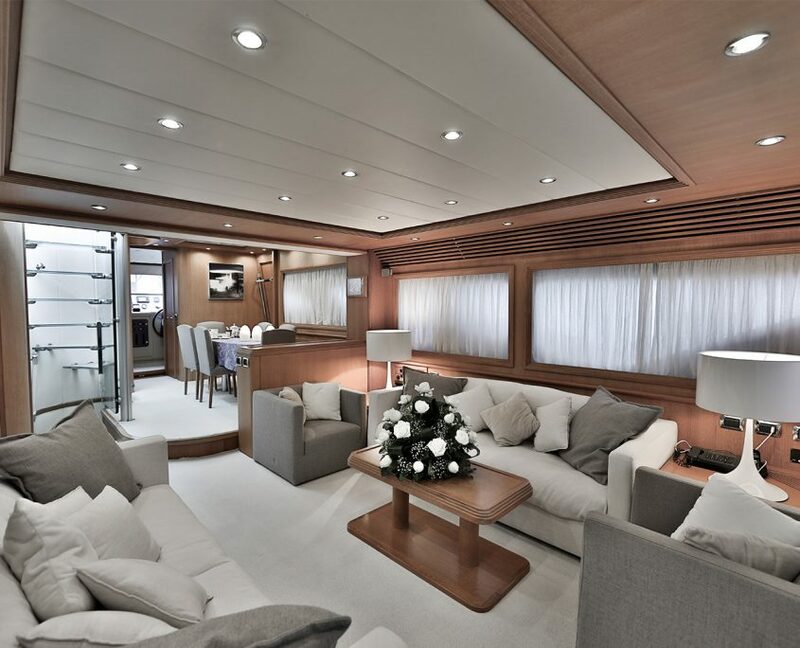 Further extra refit has been undergone from 2016 to 2018. 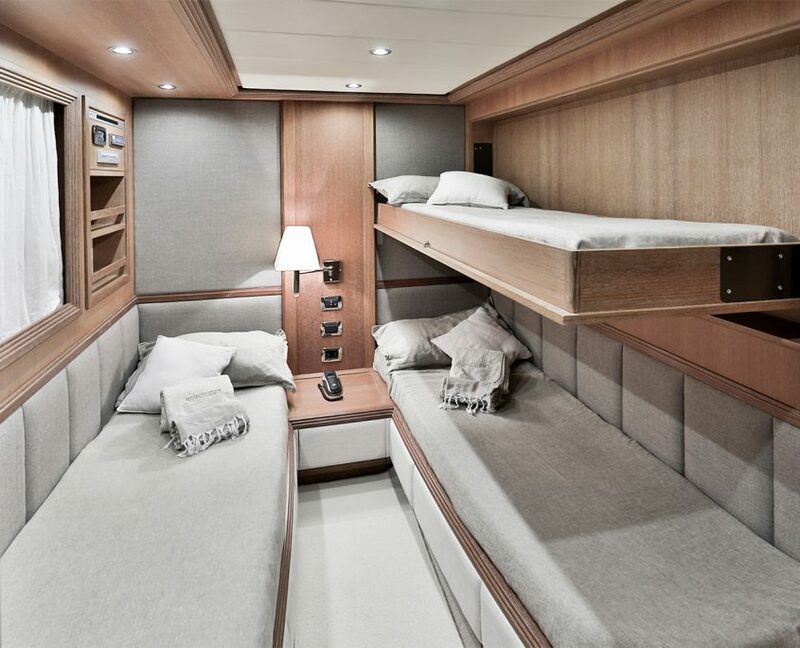 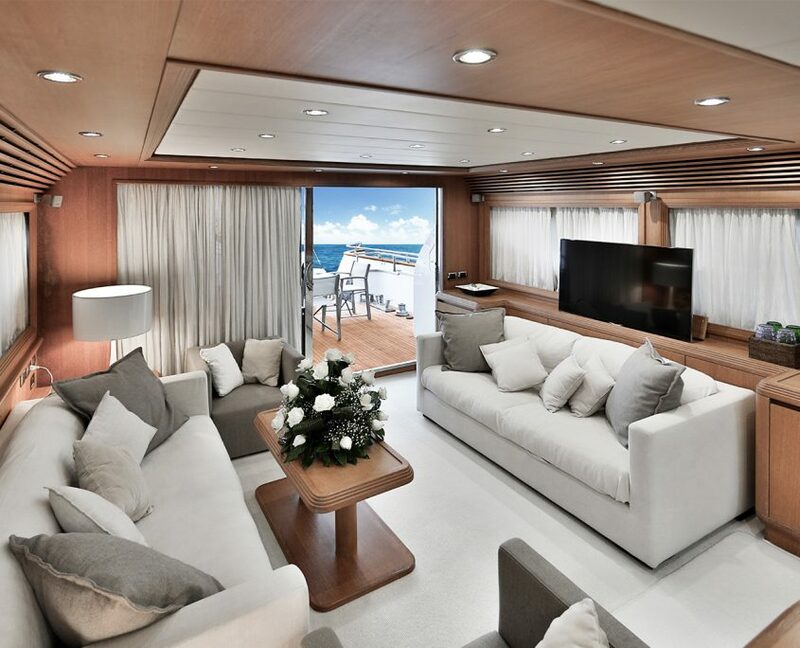 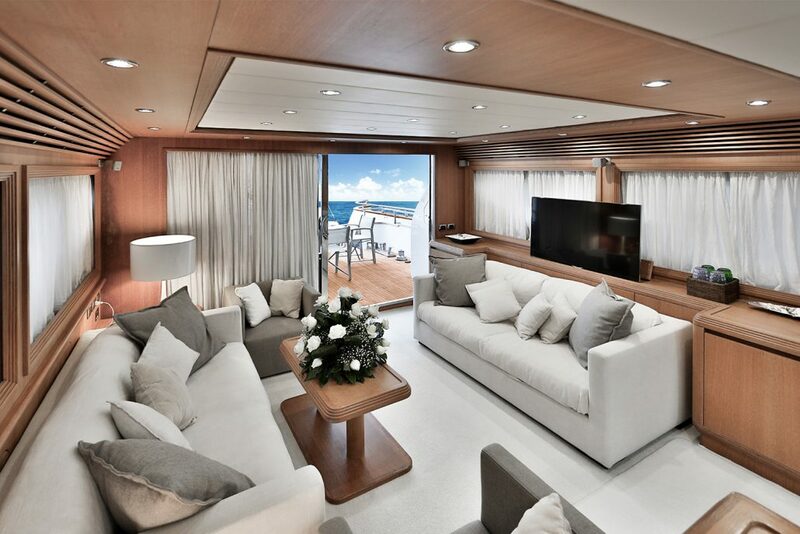 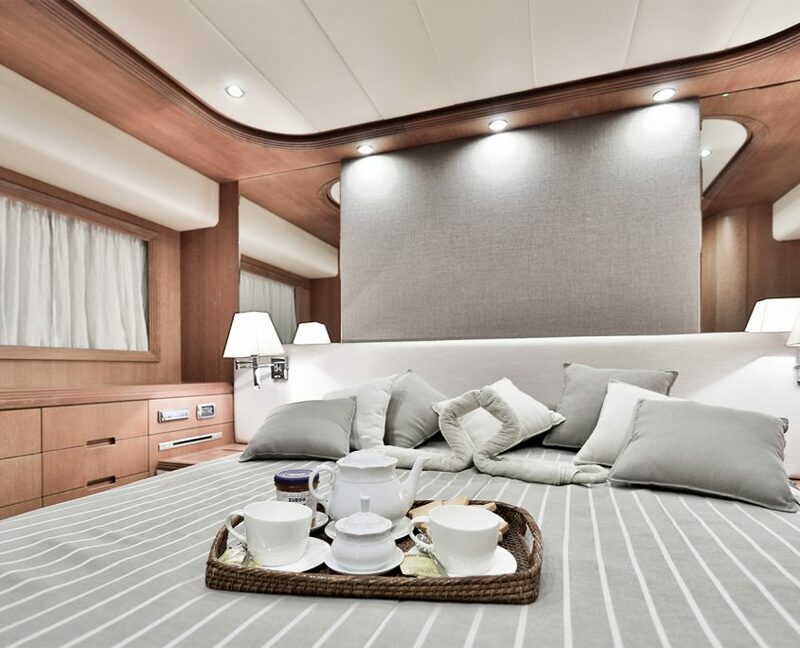 The lower deck offers accommodation for up to 8 guests in 4 staterooms; crew of 3 members in a separate quarter. 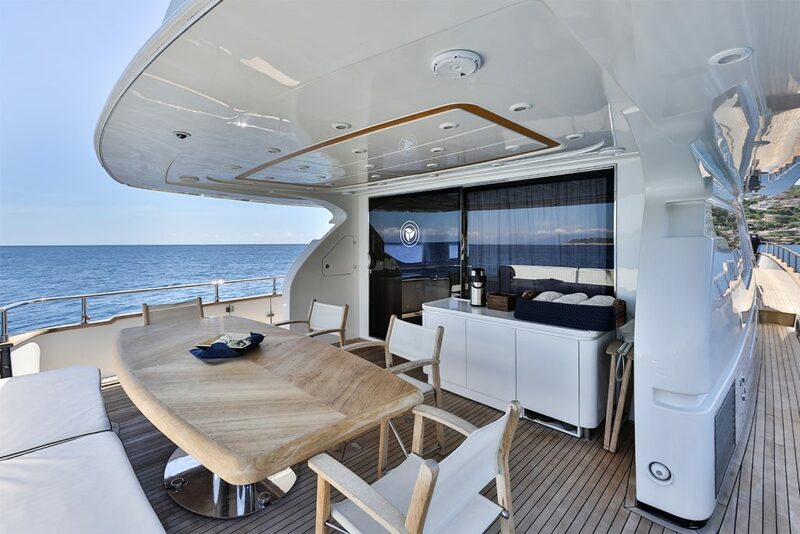 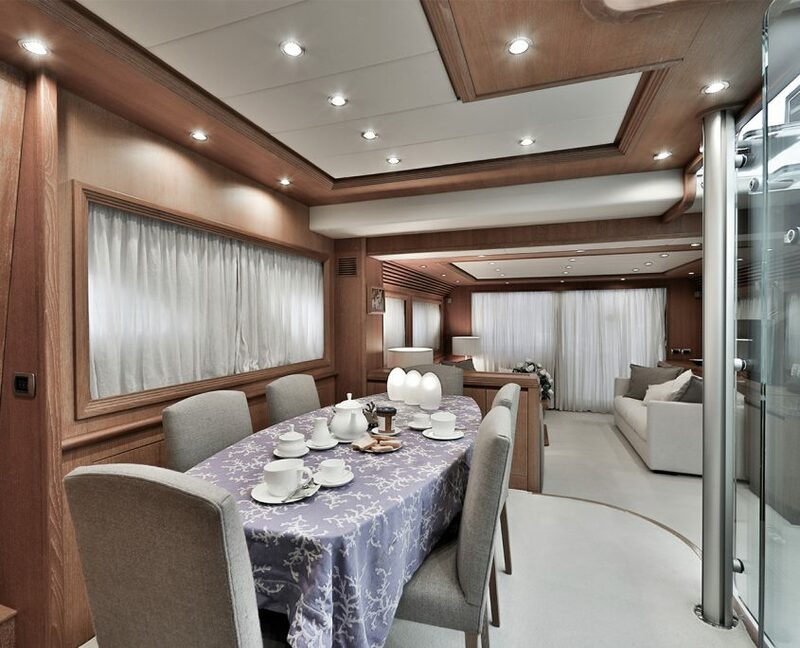 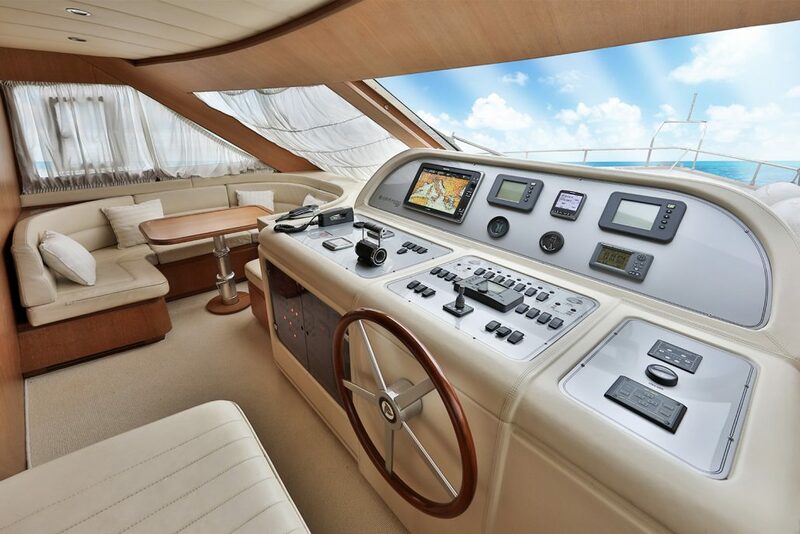 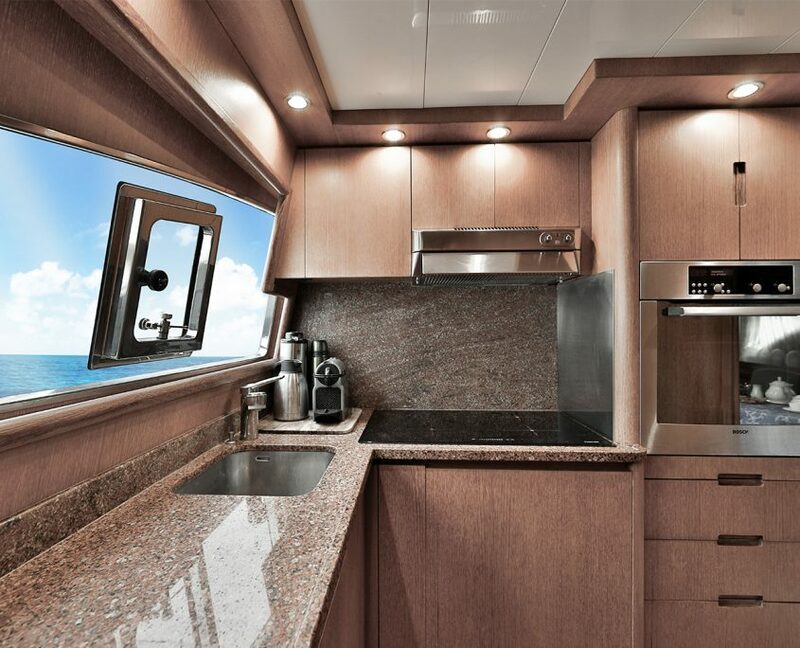 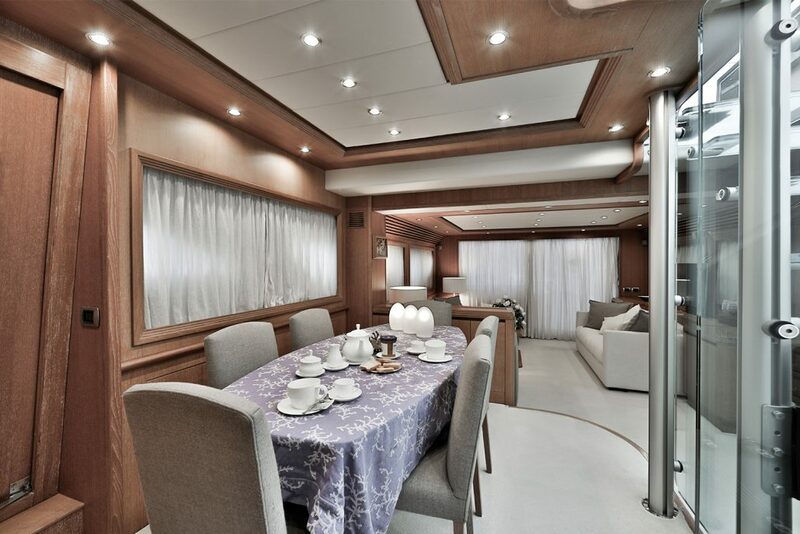 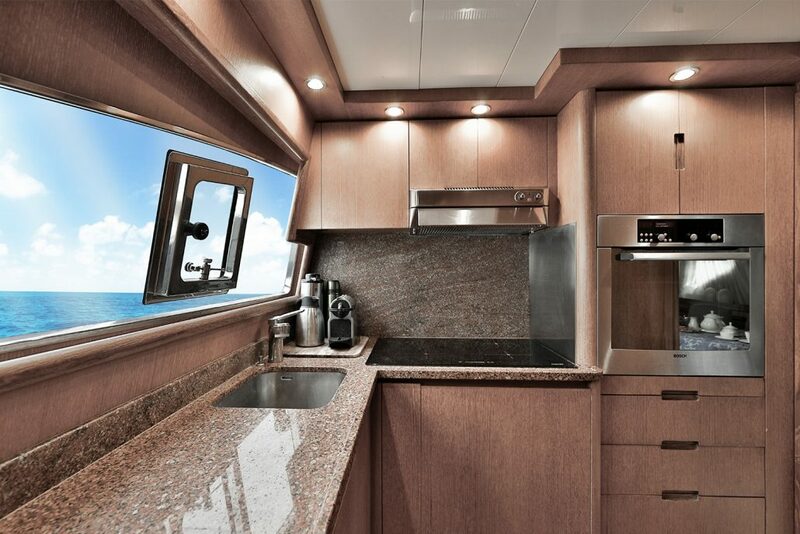 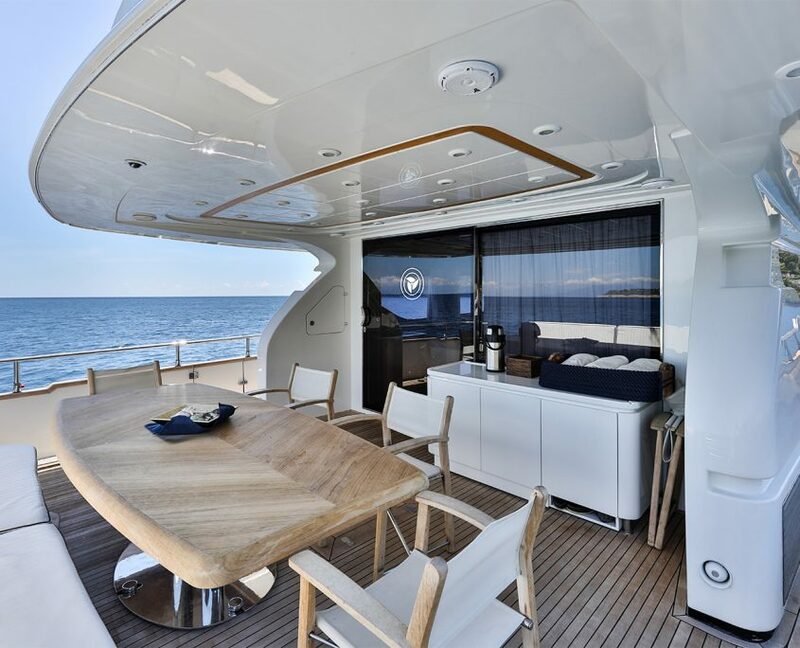 Separate and equipped galley, dining table for 6 guests. 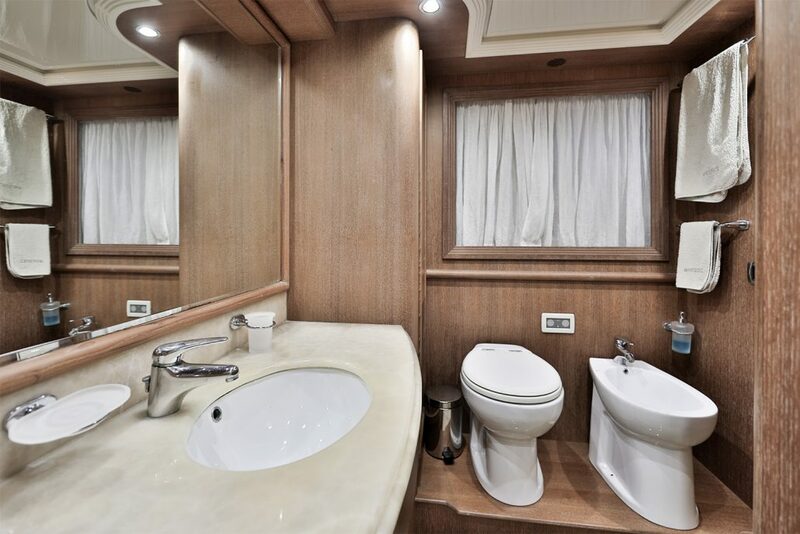 Day toilet. 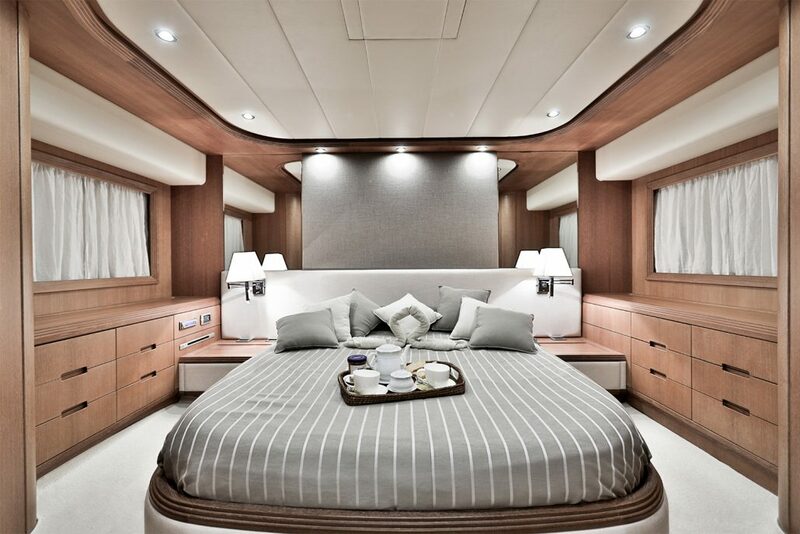 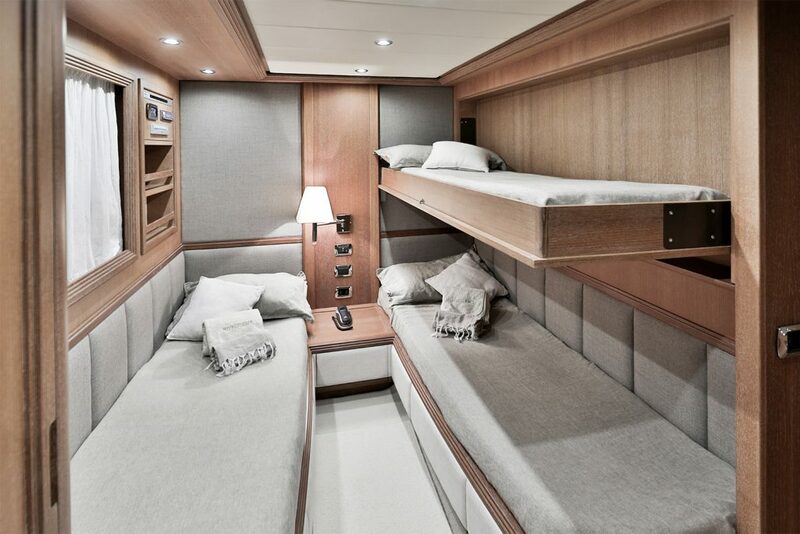 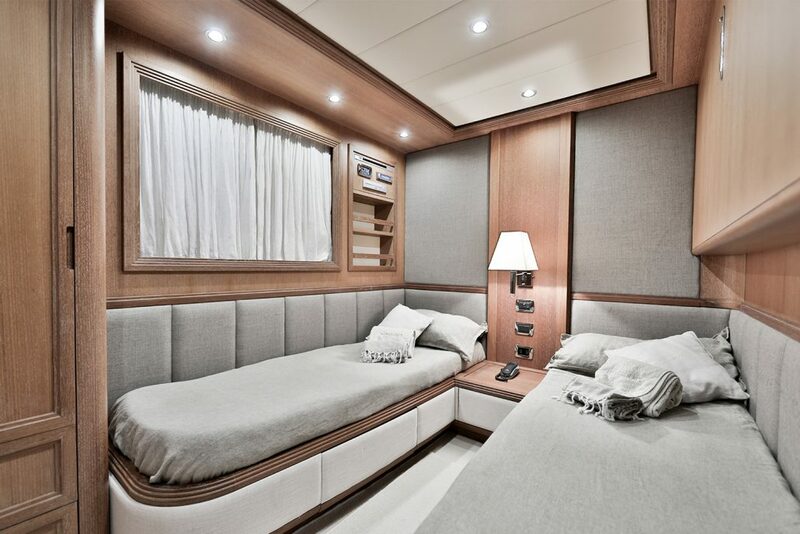 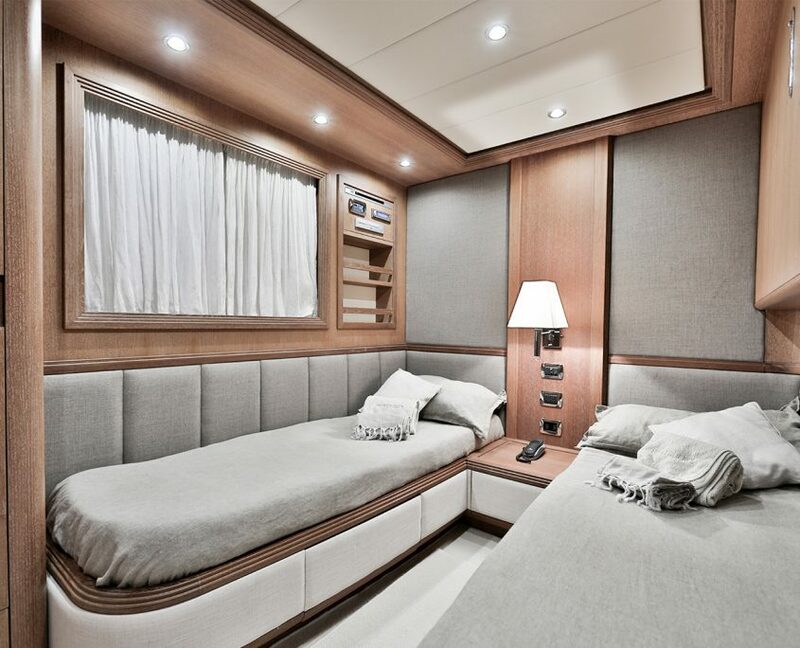 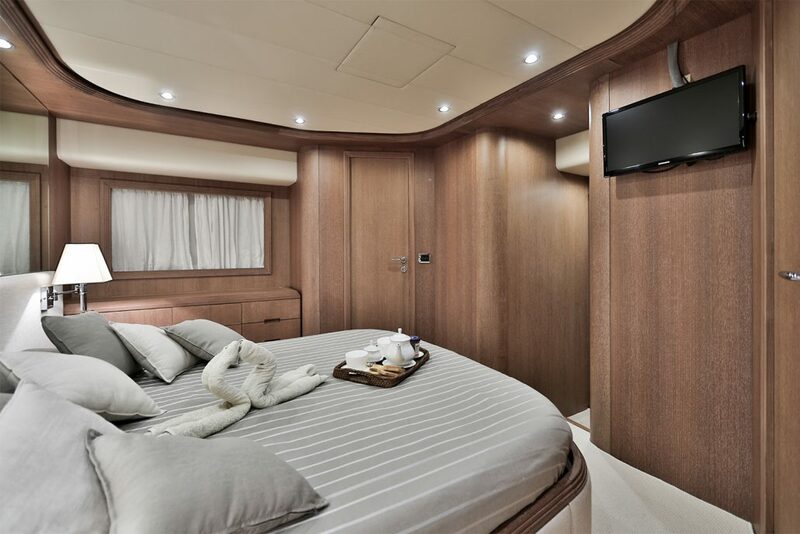 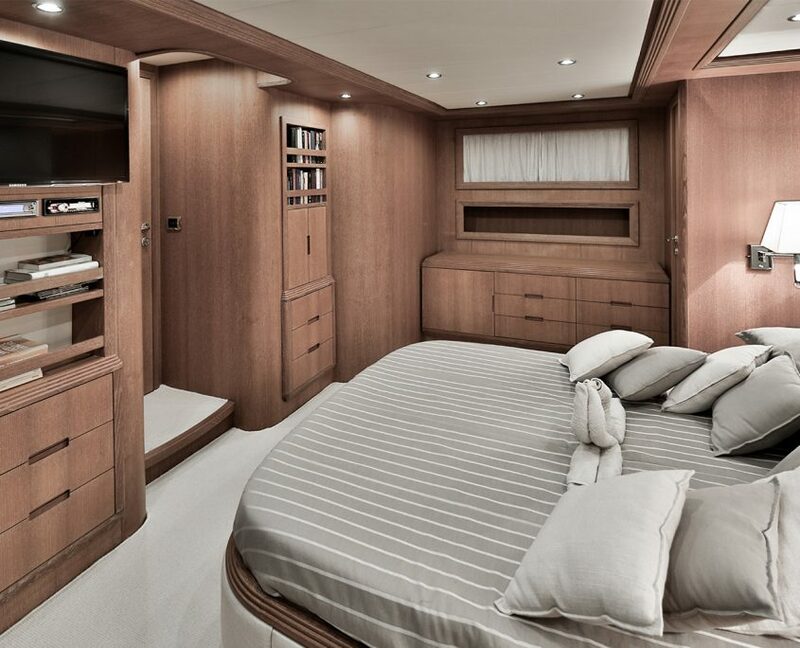 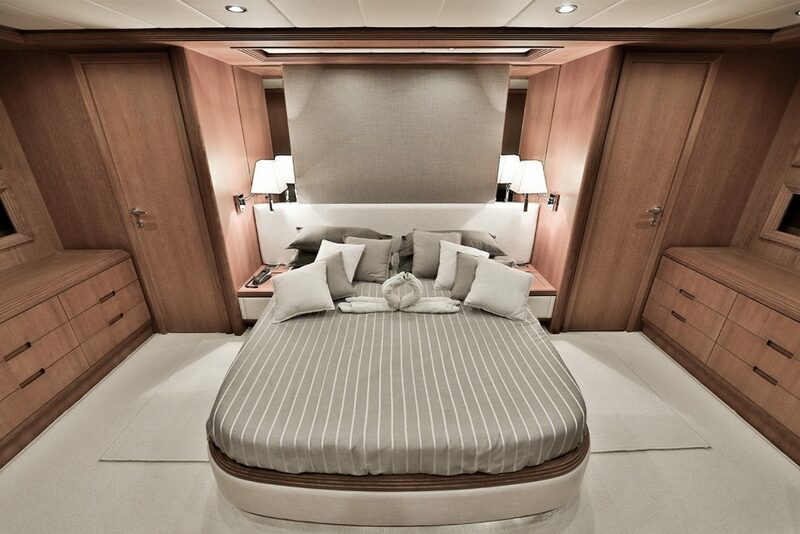 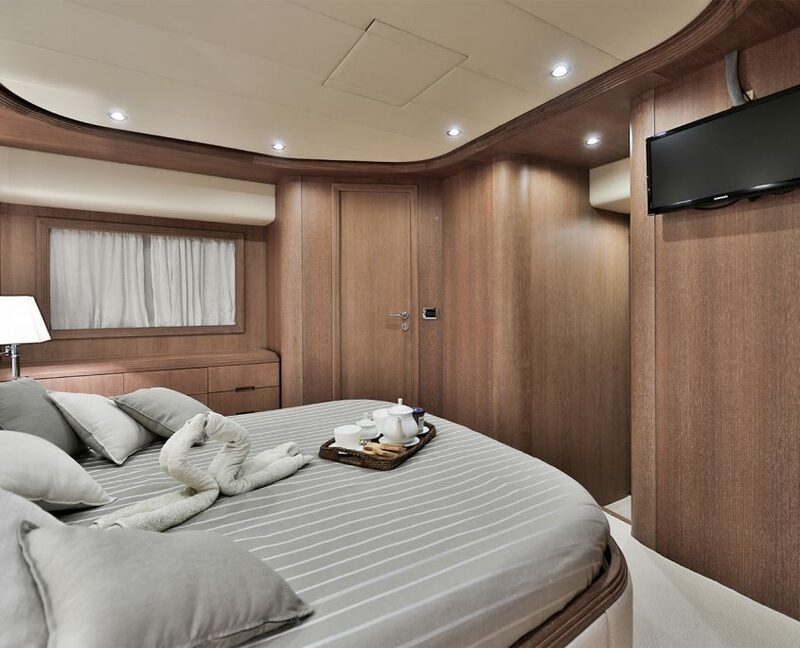 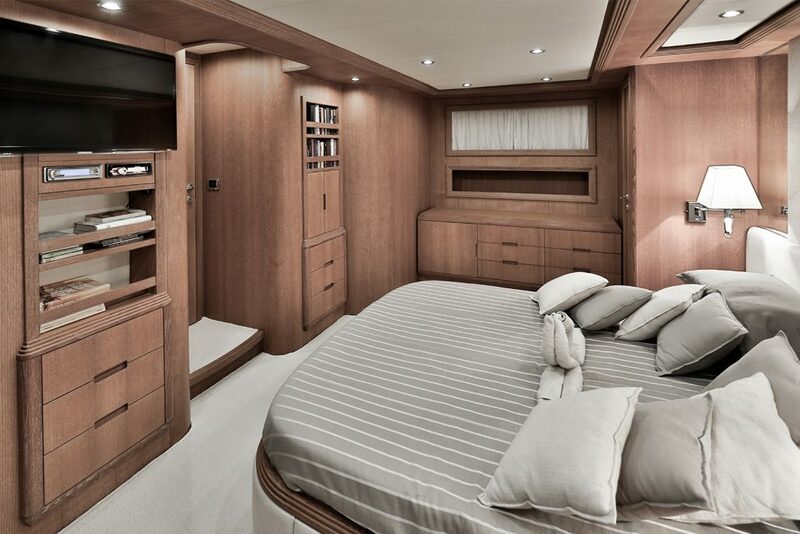 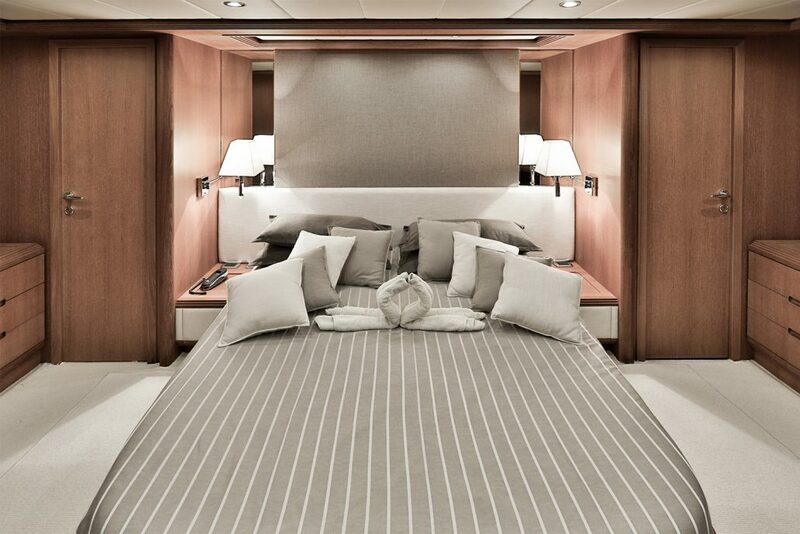 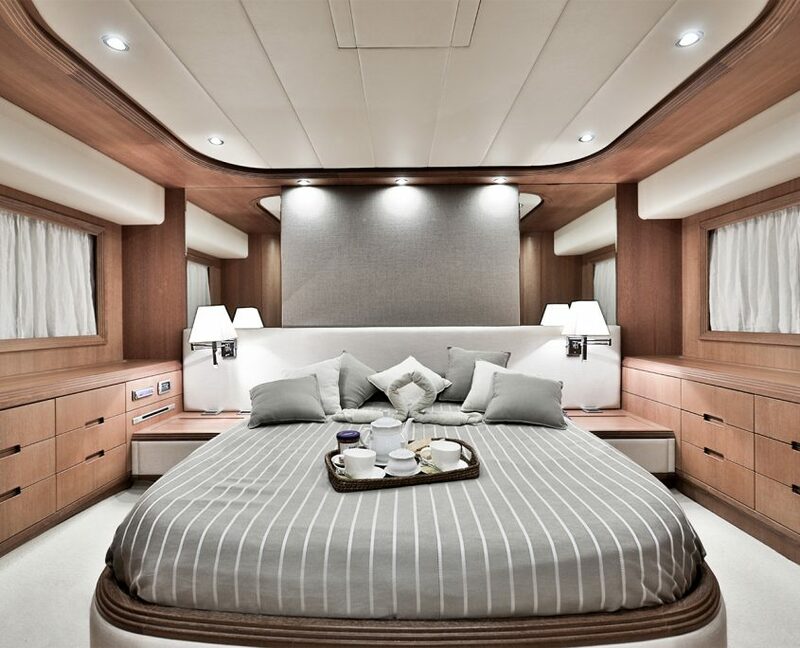 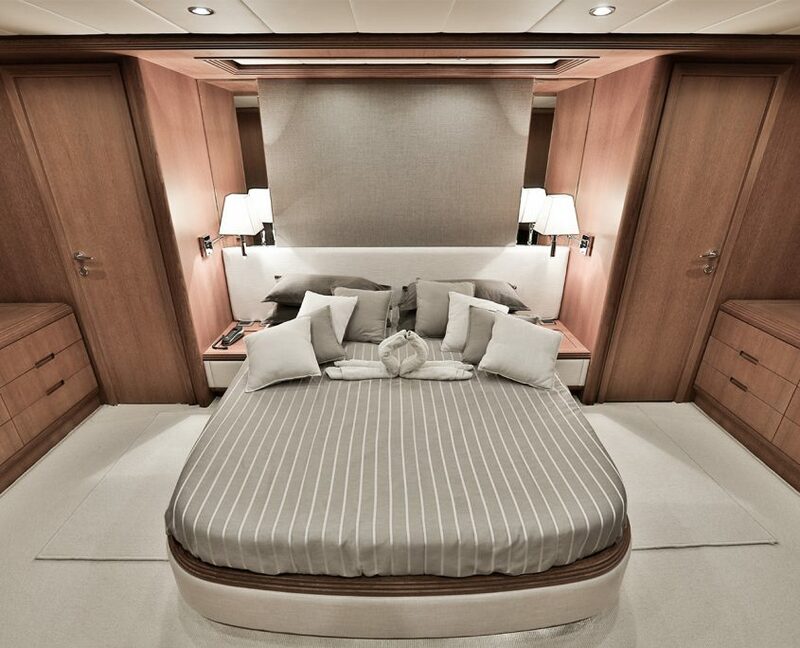 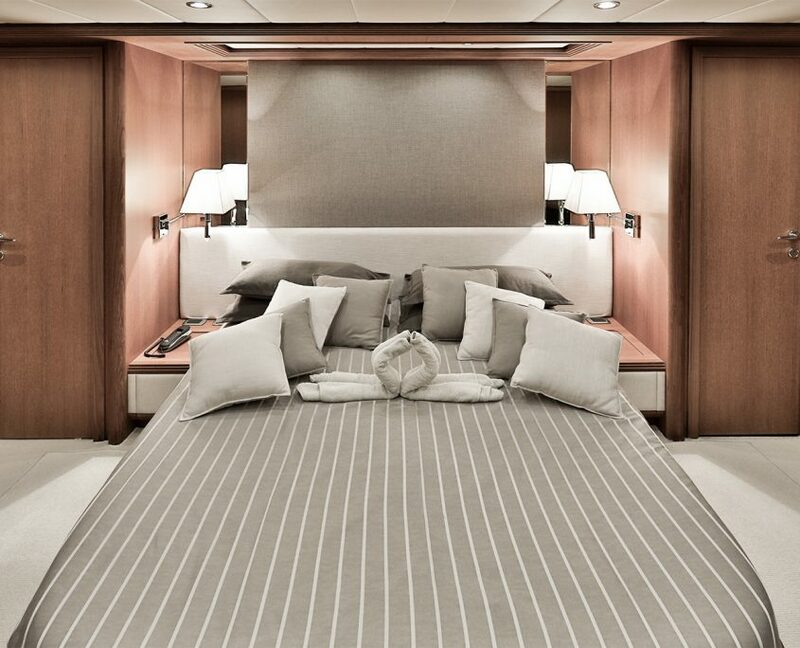 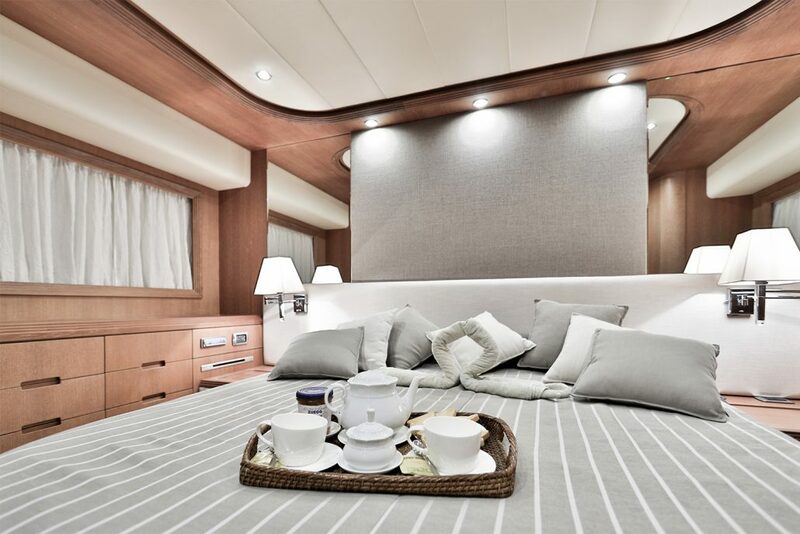 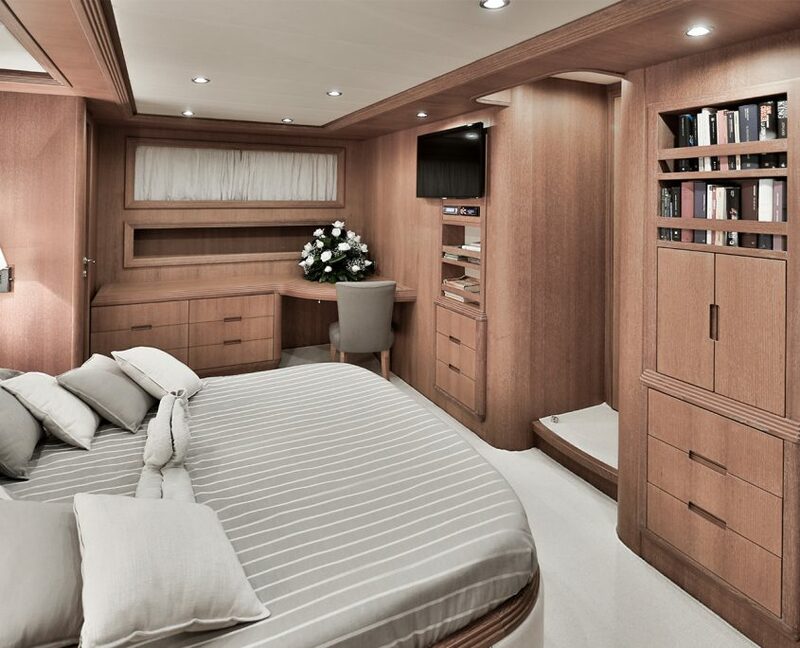 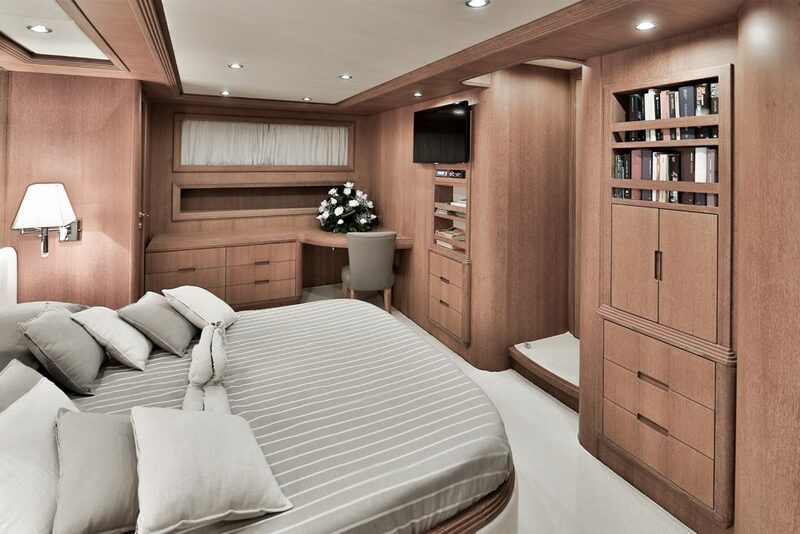 the full beam double bedded Master stateroom with walk-in closet, en-suite toilet and Tv Lcd-Dvd. 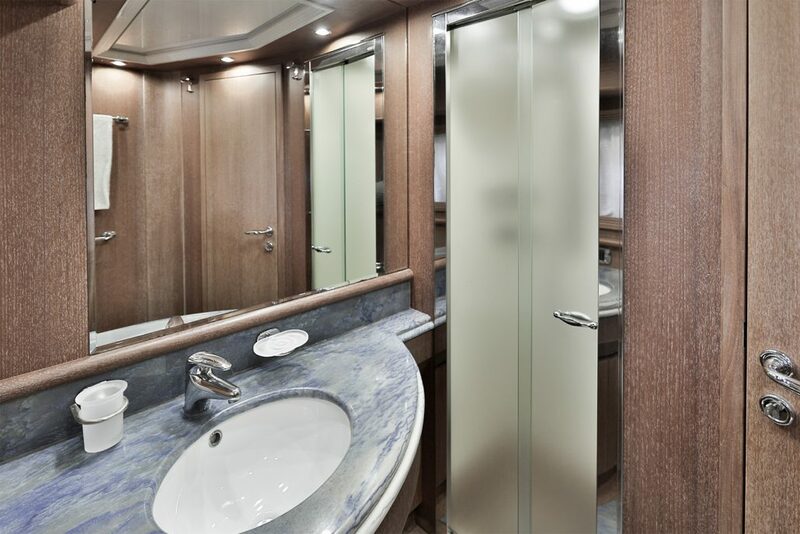 Forward you find the full beam double VIP stateroom with dressing area and en-suite toilet, Tv Lcd-DVD. 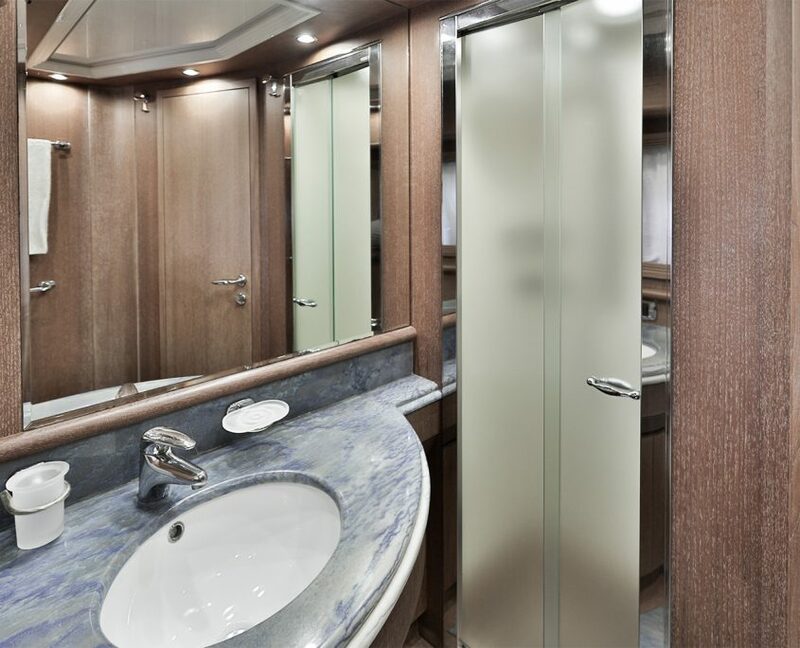 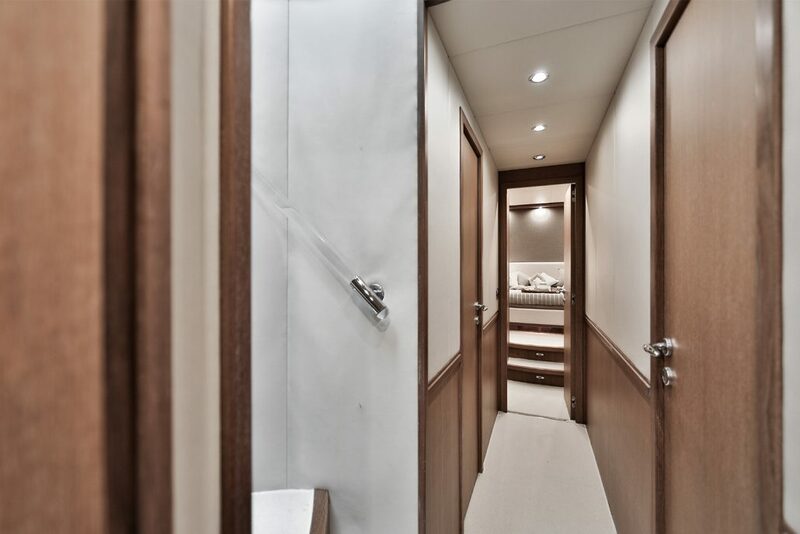 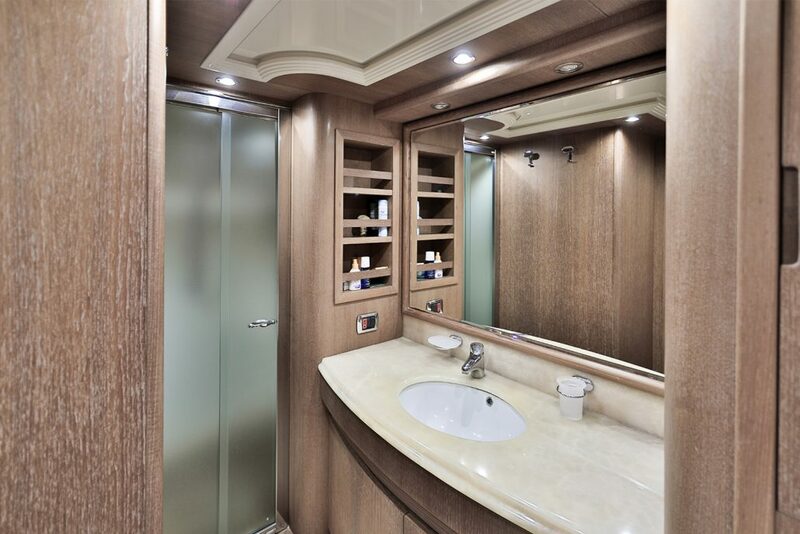 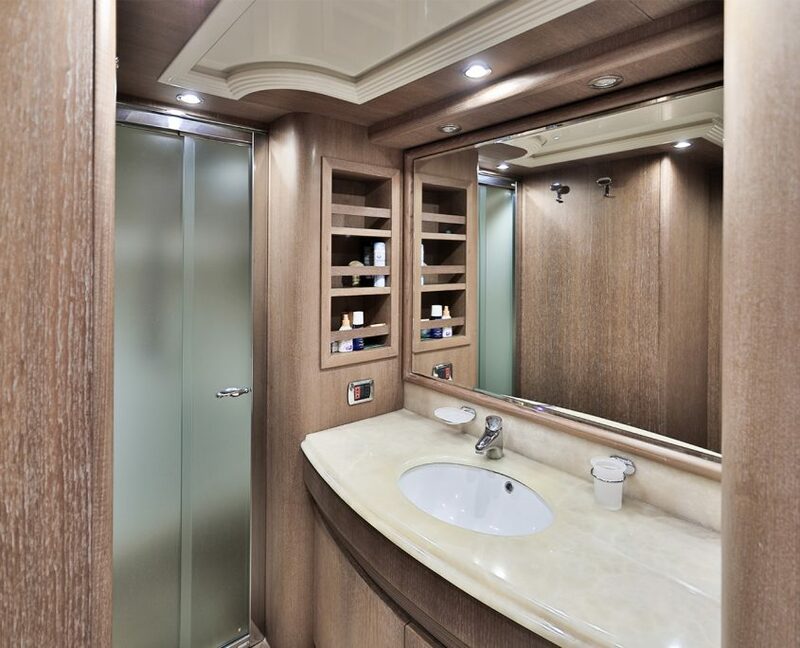 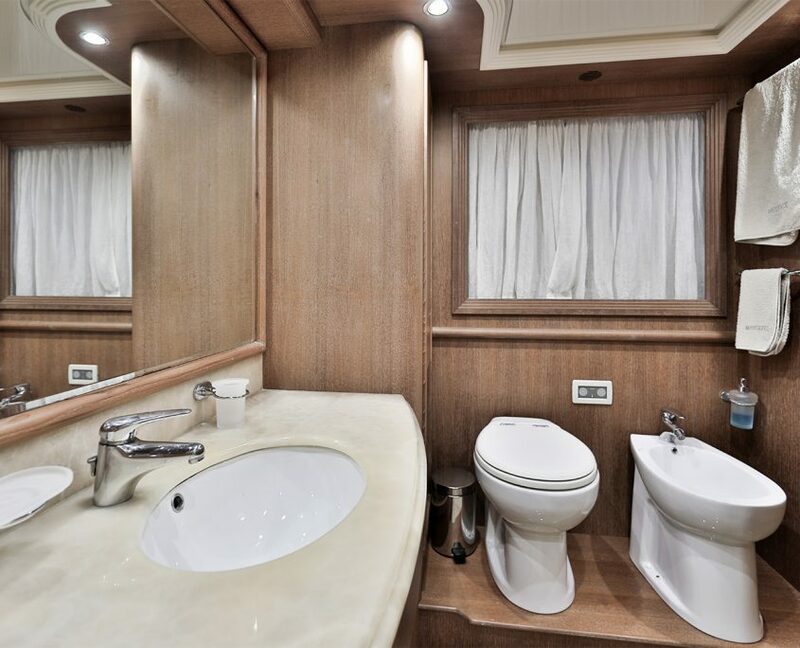 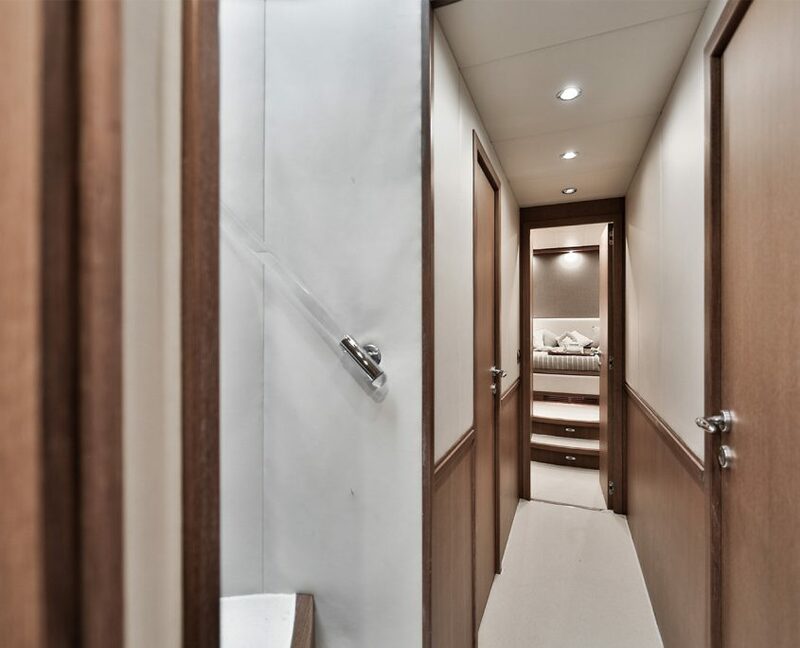 2 twin cabins midships, both with separate berths with Tv Lcd-Dvd and en-suite toilet.